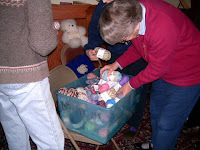 Yarn, Yarn, and more Yarn!!! 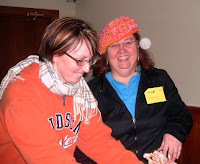 Thanks to Amy and Marsha the owners of Heartland Fiber Co. in Winterset (http://www.heartlandfiber.com/) for speaking at our March meeting. 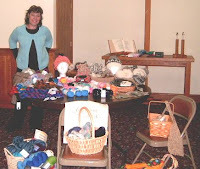 They hauled a nice selection of yarn from their store to the meeting and we all left with a nice purchase of yarn. Now that the weather is better I would highly recommend you take a trip to Winterset and visit them in their new location.